In early 2018, Attorney Moller settled a Workers’ Compensation claim for $500,000 on behalf of a 60-year-old client he has represented for 11 years. Attorney Moller had already successfully obtained numerous surgical procedures in the case, and in addition to the settlement he also secured a Workers’ Compensation Set-Aside Arrangement (WCMSA) involving other funds that will pay for work related injuries for the remainder of the client’s life. Attorney Moller also recently secured a $450,000 mediation settlement in a motor-vehicle-accident case, going up against a major insurer known for fighting hard to avoid such settlements. He has also secured similar settlements for his Workers’ Compensation clients. “I am very fortunate that I have a very good staff,” says Attorney Moller, an authority on physical impairment ratings whose specialties include Workers’ Compensation cases with complicated medical issues, in which he presents comprehensive and sophisticated claims on behalf of injured parties. Important to Attorney Moller’s success in achieving the best outcomes is his knowledge of the State of Connecticut Workers’ Compensation Commission and his relationships with those involved in the administration of claims. Attorney Moller has had the privilege of sitting on the Chairman’s Legal Advisory Committee to the Workers’ Compensation Commission since 2000. Additionally, he has served on the Workers’ Compensation Executive Committee of the Connecticut Bar Association since 1997 and has written extensively for the bar association’s Compensation Quarterly publication. Attorney Moller continues to lecture on Workers’ Compensation issues for the Connecticut Bar Association, the Connecticut Trial Lawyers Association, and Sterling Education Services. 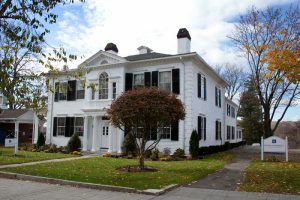 Attorney Moller has also served on the Connecticut Bar Association Litigation Section. Attorney Moller and his wife, Gina, an experienced attorney, live in Newtown. They have three adult sons. Working in his gardens and engaging in the stewardship of the land are Attorney Moller’s passions in his free time, along with enjoying the arts, theater, and international travel.